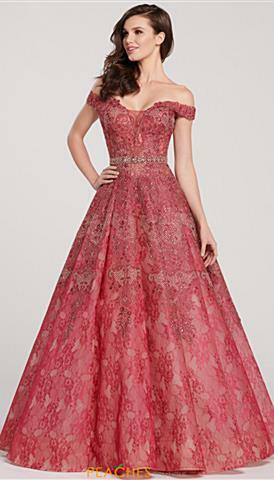 Ellie Wilde prom dresses by Mon Cheri are an incredible collection for any special occasion. This collection ranges from breathtaking prints and vibrant colors for those who love to live on the Wilde side. 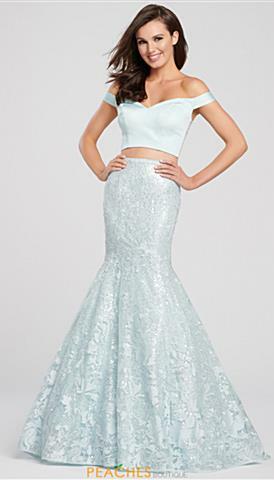 Modern styles such as high lows, two piece dresses and edgy mermaids are adorned with incredibly detailed rhinestone accents as well as fun ruffles and metallic fabrics to truly make a statement. Celebrity inspired pieces come in a range of rich fabrics such as satin or tulle overlays, giving these dresses a red carpet look. Phenomenal backs feature ruffled trains and keyhole openings, not to mention spectacular beaded illusion back styles. Not shopping for homecoming dresses? No problem! 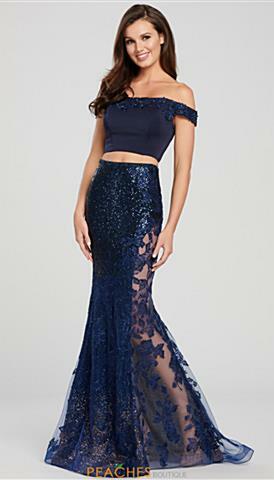 Gorgeous mermaids feature dramatic skirts and are adorned with luxurious lace and unique neckline cuts making them ideal evening gowns. 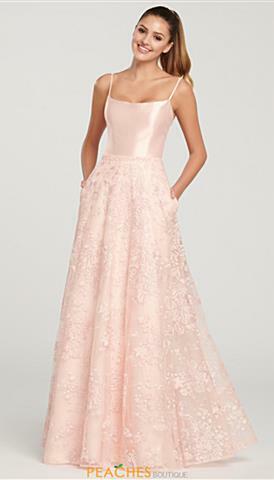 Gorgeous chiffon pieces highlight embroidered bodices and lights skirts perfect for weddings. 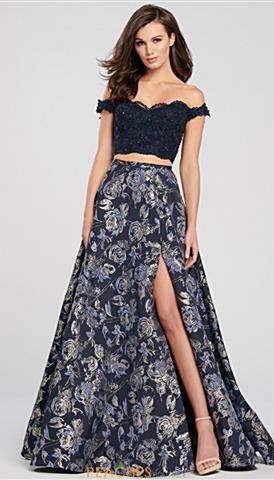 Fun short dresses feature amazing prints and textures that are great for cocktail parties and winter formal. 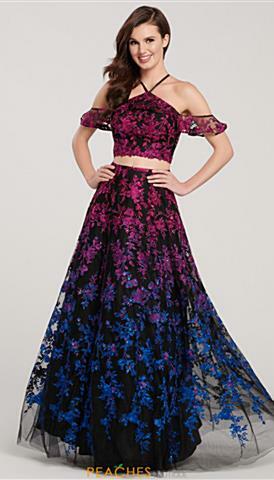 Stand out in the Ellie Wilde collection for your 2019 events! 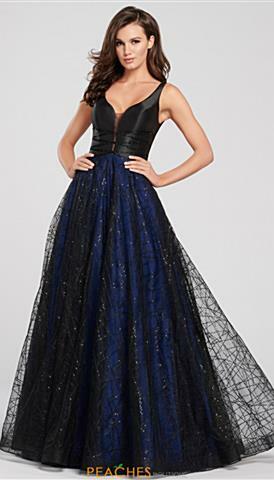 Why Should I Choose an Ellie Wilde Prom Dress? Ellie Wilde dresses are known for have beautiful feminine shapes with trendy details that give them a fun twist. 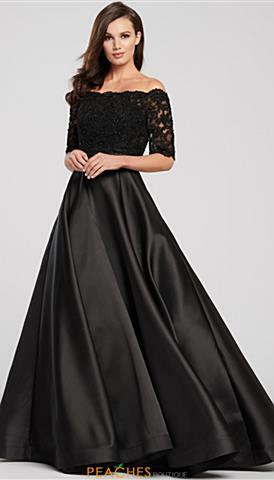 Whether you are searching for a demure gown or an alluring form fitting style, you are sure to find a dress that is perfect for you. 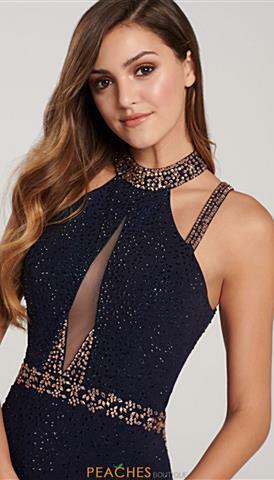 Mon Cheri's 2019 Ellie Wilde prom dresses showcase new ideas and fabrics, including gorgeous stretch glitter material and unique ombre effects in shimmering sequins. 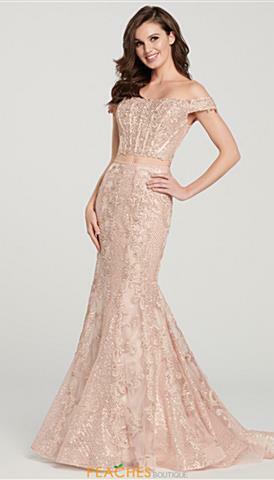 New styles also include gorgeous applique in swirling gold embroidery and soft flowers which appear to float gently down the flattering gowns. 2019 Ellie Wilde dresses are designed with women in mind. 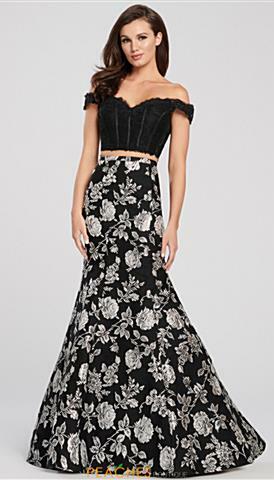 The fitted gowns often showcase strategic belts or cut outs that perfectly compliment your figure, cinching your waist just right and drawing your eye to unique embellishments. From corset style bodices on regal dresses to dramatic over skirts, Ellie Wilde gowns are a flattering choice for any body type. 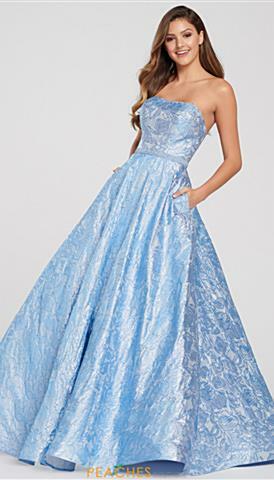 Ellie Wilde homecoming dresses are also a popular choice for dances and pageants. With a huge selection of short dresses in a variety of fun and youthful styles, these dresses are perfect to wear again and again. 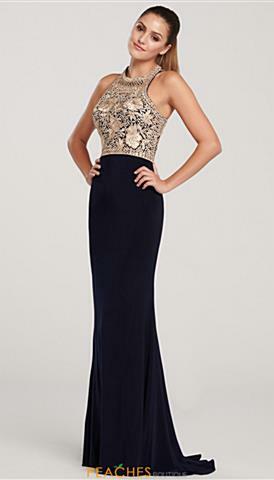 Ornate bead work on the long gowns creates an eye catching look that is sure to win over the judges at a pageant, with sophisticated silhouettes and unique patterns that make Ellie Wilde such a sought after brand.